This article discusses standards and rules for an address entry forms. 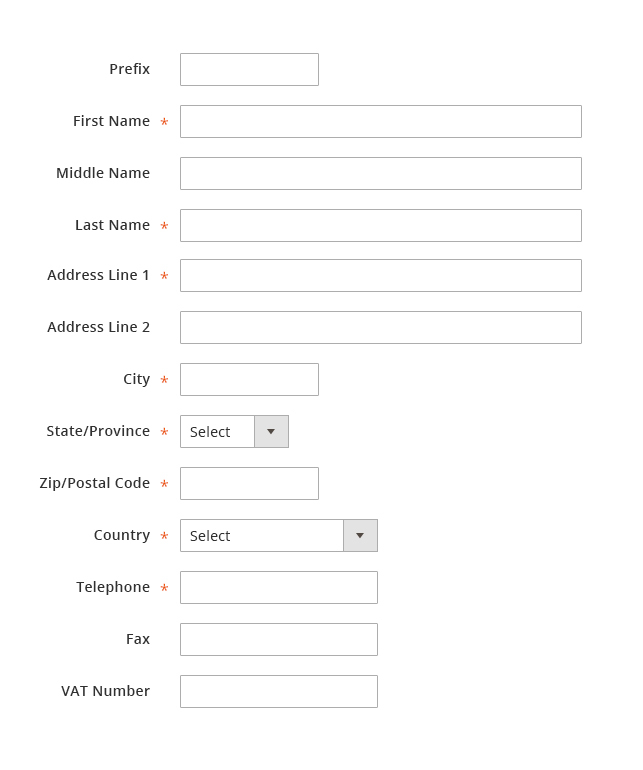 The address entry fields should be used whenever an address needs to be captured. 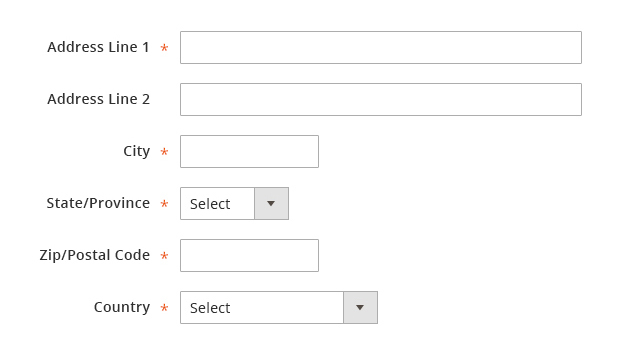 This set of form elements will be universal across the Magento user experience. This pattern should follow rules established in the Form Elements and related patterns. The only variation of this pattern at this time is the North American Address Entry format. Users have the ability to create address entry formats for other locales within the system. This pattern will follow the Form standards established in the Form Elements and related patterns. Refer to the Form Elements and related patterns for style information. Source files associated with this article are currently attached the Form Elements Pattern.